Hwy. 371 North to Nisswa. Right at the stop light into downtown Nisswa. Go six blocks north on Main Street. Right on to Poplar Avenue. Go over Paul Bunyan Trail and turn left into G.O.D. Resort. They are located six blocks from downtown Nisswa, MN, on Lower Cullen Lake, and on the Paul Bunyan Trail. Over 300 holes of golf and dozens of restaurants are only minutes away. Good Ol' Days was originally founded as a logging camp in the early 1900's and has evolved into the areas classic four-season family resort featuring 10 housekeeping cottages and eight new lodge rooms overlooking beautiful Lower Cullen Lake. 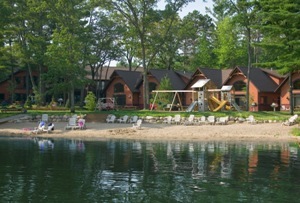 All units are lake level, tree-shaded, and lakefront. All cottages have dishwashers, airconditioning, fireplaces, heaters, etc. All units are available year round. Daily continental breakfast. Towel and trash service provided. Their lake is the largest of the 1600 acre, three-lake Cullen Chain. Lower Cullen has an excellent selection of game fish and contains great fish-holding structures including two sunken islands. Their sugar-sand beach is shallow and safe with crystal clear water. It is conveniently located near the cottages and adjacent to the playground. You will be delighted and distracted with all the fun and activities they have to offer. Your whole family will enjoy their beach and raft, paddle boat, canoes and kayaks, pontoon rental, playground area, game room, bicycles, store, sand and water volleyball and basketball court. Organized guest activities include homemade ice cream social, sand sculpture contest, minnow races, fishing contests, crafts, horse lessons and rides, scavenger hunt, worm races, and nightly campfire. Also, there are a wide variety of places to go and things to do nearby. Where memories of a lifetime are made! 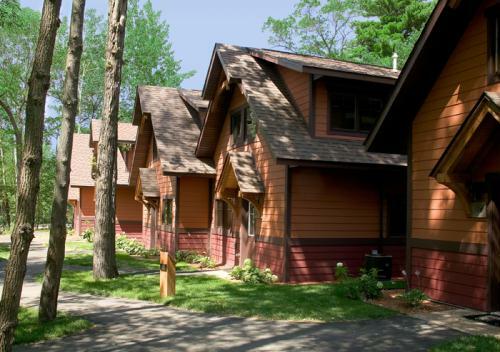 10 new Lakefront Housekeeping Cottages and an 8 unit Lodge on Lower Cullen Lake. Located 6 blocks from Nisswa, MN on mile 16.5 of the Paul Bunyan Trail. Daily Continental Breakfast, Towel & Trash Service. Activities, Fishing, Biking, Canoeing, Kayaking, Nightly Campfire. Kid friendly sugar-sand beach...shallow and safe with crystal clear water.